What Is a MAC Audit? Medical providers in America face a regulation-and-review system so complex and widespread that compliance can seem like an insurmountable task for even the most diligent and resourceful practices. Among the many audit, investigation, and review processes that might come your way are the MAC Audits. These are perhaps less well known than their RAC audit counterparts but they can have an even greater impact on your day-to-day business operations. MAC stands for Medicare Administrative Contractor. These are for-profit companies that the Centers for Medicare & Medicaid Services (CMS) hire to handle many of the payment processes that were once internal to CMS. For instance, MACs are now chiefly responsible for processing claims and issuing payment on many invoices to CMS, both for Part A and Part B. Additionally, like RACs, the MACs are able to conduct audits relating to any claims submitted to CMS, subject to certain limits. A MAC audit is powerful because it can request an extensive amount of documentation with very little warning, and if it determines that your practice owes CMS money, your only recourse is the long and demanding appeals process. Indeed, adverse MAC audit determinations are often overturned on appeal, but many providers are still bogged down in the appeals system yearsafter an initial determination is made. The MAC is able to compare Part A and Part B claims for the same services to search for any potential discrepancies. It can also launch an audit on the basis of any error in your practice’s billing history, however minor or unintentional it might be. Additionally, MACs have the power of prepayment review, meaning they can stop CMS from paying you for the services you’ve already provided until MAC investigates the claim and determines it to be reasonable and valid. This invites tremendous uncertainty for providers (especially given the probability that MACs will find a problem whenever they look for one), not to mention grave cash flow concerns. For this reason, MAC audits should be a part of every health care provider’s risk management strategy. 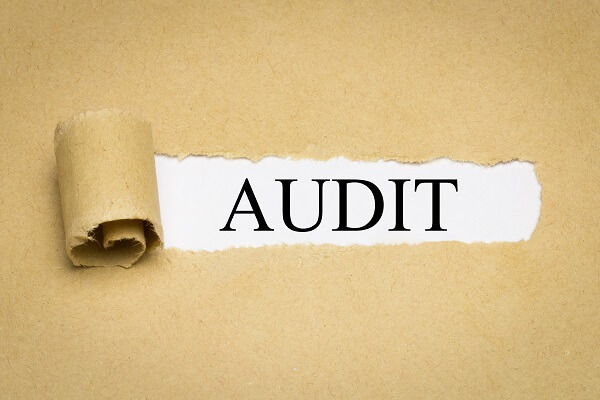 And should you face an audit, you need to act quickly and carefully to impact its potential impact on your practice’s cash flow and profitability. What Are the Responsibilities of a MAC? Each MAC is awarded jurisdiction over a specified geographic region within the United States. This jurisdiction includes Medicare Part A and Part B (A/B) medical claims and Durable Medical Equipment (DME) claims for Medicare Fee-For-Service (FFS) beneficiaries. As of 2003, MACs have replaced Fiscal Intermediaries (FIs) for Part A claims, as well as Part B Carriers. MACs also play a customer service role. When you call the 1-800-MEDICARE hotline with questions about proper billing practices, for instance, your call is forwarded to the MAC contracted for your area. Because MACs handle provider enrollment, claims processing, customer service, andaudits / reviews, they have become the “primary operational contact” between medical providers and the CMS. Therefore, you might encounter the MAC at many different stages when treating patients covered by Medicare or Medicaid. However, it is the MAC auditthat poses the most significant risk to your practice’s cash flow and profitability. Who Can Be Targeted in a MAC Audit? MAC processes claims from a wide range of medical providers. Anyhealth care organization that submits invoices to the Centers for Medicare & Medicaid Services may be subjected to a MAC audit. Distressingly, the early stages of the audit can begin without you even realizing it. Why Would Your Practice Be Targeted by a MAC Audit? You might be subjected to a MAC audit for many different reasons, ranging from random selection to unintentional billing errors, or even suspicion of fraud. MACs use software and data-mining procedures to continually monitor incoming claims for payment. The software can vary from one MAC to the next, and MACs even have the ability to customize their own software within a given jurisdiction (for example, to look for issues that have been cropping up in a specific geographical area). These programs might identify “discrepancies” even in situations where the billing was reasonable, medically necessary, and within CMS policy. What About the 2017 TPE Changes to MAC Audits? In August 2017, CMS announced that it would expand a trial program known as Targeted Probe and Educate (TPE)to all MAC jurisdictions across the country by the end of 2017. Under TPE, auditors review only 20 to 40 claims per provider, and the audits are focused on specific providers (instead of probing all the providers of a specified service). It is thought that TPE may help to reduce the burden of MAC audits on health care providers who have consistently been compliant with Medicaid and Medicare policy. CMS certainly advertises it that way. It describes TPE as first and foremost an educational opportunity for providers — a chance for you to recognize billing errors and address them in the future. CMS cites a decrease in the number of appeals from TPE audits as evidence of the program’s success. But under TPE, a MAC audit could take a year or more to resolve. Even if the total number of documents being reviewed is reduced, a year-long audit is an enormousburden for any provider. And the potential of prepayment review is still on the table. Furthermore, those “20 to 40 claims per provider” are also “per item or service, per round, for a total of up to three rounds of review.” So the MAC audit may not be as limited under TPE as it may seem. TPE may mean even more intensive scrutiny for those providers who are selected for audit. And while TPE might reduce the burden on providers generally, it does not eliminate it or guarantee that a compliant provider will not be audited. Nor does it guarantee that the provider will always be removed from the TPE process after the three rounds of review. Therefore, MAC audits should remain a chief concern for any health care practice planning its risk assessment and management. Time Matters. Act Sooner Rather Than Later. If you are a health care provider or medical organization, it is in your best interest to take legal action in the early stages of a MAC audit. As soon as the auditor contacts you, contact a lawyer. As experienced health care audit defense lawyers, we can provide crucial advice for responding to audits and avoiding potential mistakes. These are high-stakes proceedings. You must handle them carefully. In many cases, our lawyers can negotiate directly with auditors and/or federal agents. This can help to minimize the potential impact of an audit. Our lawyers can also successfully object to a determination without having to go through the whole appeals process. Oberheiden, P.C. is national health care defense firm consisting of lawyers who used to work for the federal government in audit cases. Today, we represent doctors, hospitals, pharmacies, and care providers instead. Years of insight on both sides have allowed us to make a transformative difference in so many of our clients’ cases. Get Immediate Legal Guidance. Contact the Experienced Attorneys of Oberheiden, P.C.. If you are under a MAC audit anywhere in the United States, please reach out to our office as soon as possible. Generally speaking, the earlier we are involved, the more effective we can be. Our MAC audit defense attorneysare available seven days a week, even on weekends, to talk about your case and how we might help. Federal Health Care Audit Defense Law Firm – Oberheiden, P.C.